Oh how I enjoy preparing food for entertaining! What about you? Lots of little dishes, nibbles, tapas…nothing makes me happier than a full table of plates, cheese boards and wine glasses. 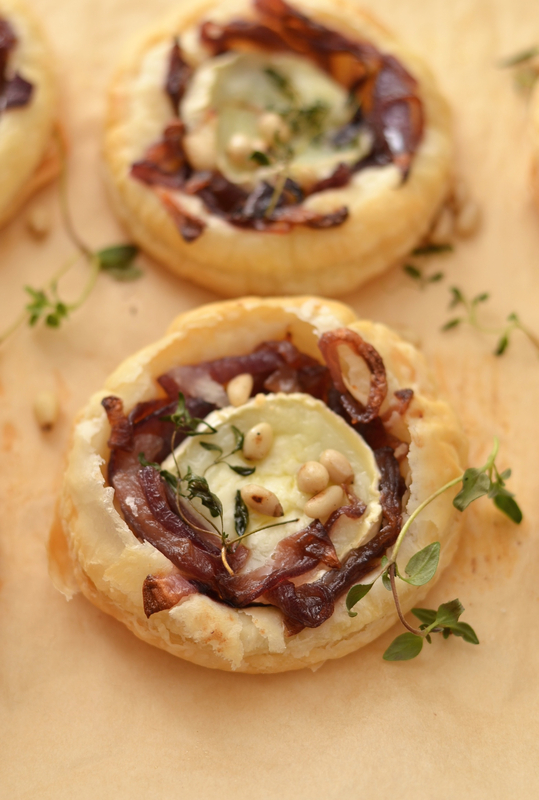 These tarts are so simple to make and you know this combination of sweet onions, creamy goats cheese and flakey pastry works wonderful without even trying them! Thinly slice two onions, melt the butter in a pan over medium heat and then fry the onions. Continue frying them over a low heat until softened. You don’t want them brown so add a splash of water if needed. After about 15min they should be done, season them with salt&pepper and put on the side. 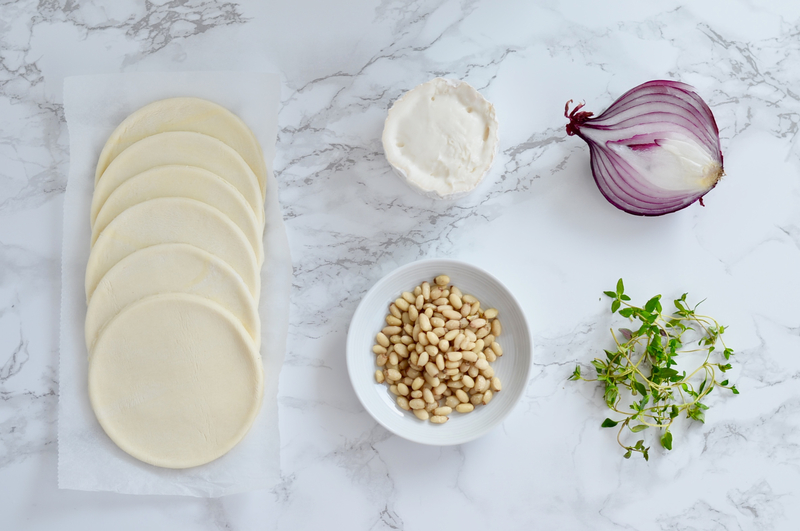 Place your puff pastry sheet on a floured surface and cut out the circles or squares. 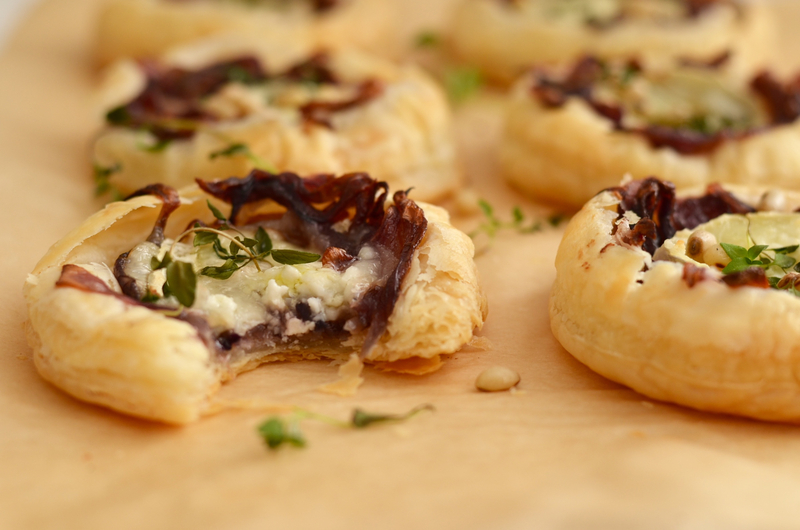 To be on a safe side is better to pre-bake your pastry for about 10min before topping it with onions and cheese. We don’t want the middle to be soggy, right? Score (don’t cut all the way through!) the inside of the pastry with a cookie cutter or a thin glass to make a small rim. Put them in the oven for about 10min on 180C. After 10min remove them from the oven and gently press down the inner circle. 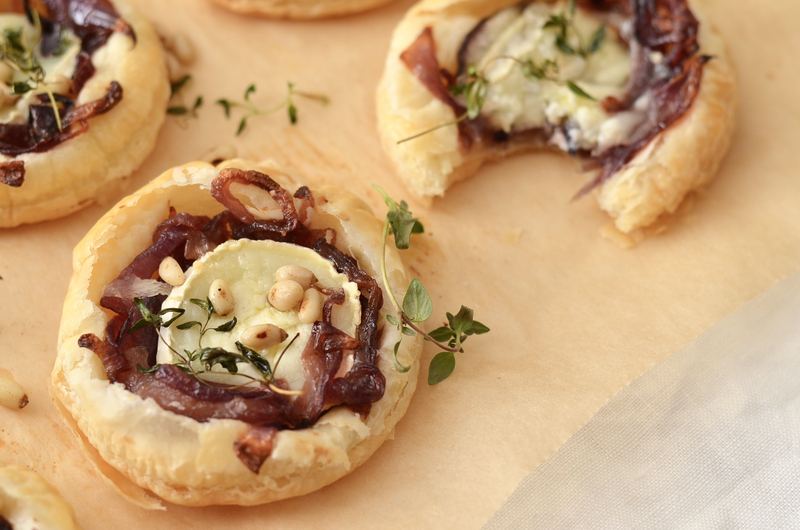 Top each pastry with a spoonful of onions, slice of goat cheese, fresh thyme and pine nuts. Serve them warm as a starter or as a main with rocket salad.